I've done a lot of glowing reviews on this blog, but no more Mr. Nice Guy. I know you're not supposed to judge a book by its title. But in the case of this one, you most definitely should. It's just as dull as its title- and in some ways I wish it was briefer. I'm going to complain about everything, but we'll start with the format. It's written like a diary. Now, I don't mind diaries so much. It can- and has- been done with minimal casualties. But, as if to make this diary seem more authentic, random remarks are thrown in. It's like the author thought 'oh, I have to remind my reader that is isn't a book they foolishly spent their hard earned birthday money on. Oh no. It's a journal.For example, Sophie (the main character) spends half a page discussing whether or not to get another candle so she can see the words she's writing. Actually, she ends up mentioning the candle many times to start and end her diary entries, making me want to scream, "ENOUGH OF THE FREAKING CANDLE, GET ON WITH THE STORY!". That leads me to another problem. The plot. Or rather, the lack thereof. I swear, nothing happens until two-thirds of the way in. Then, it gets exciting. 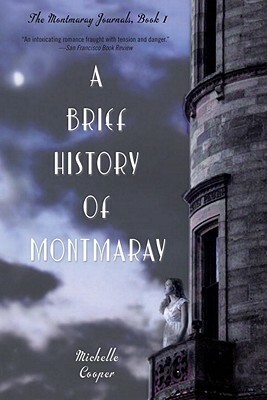 But for the first two-thirds of the book, Sophie describes her life on a small island kingdom called Montmaray, where there are almost as many royalty as there are subjects. She talks about her beautiful and smart cousin Veronica, her tomboy sister Henry, and her crazy uncle King John. And then about her crush, Simon. These parts were utterly unbearable. She kept mooning over him, pages and pages of describing him, worse than a typical chicklit. And she does nothing through the course of the entire story to a) tell him how she feels, b) get to know him better, or c) say five straight words to him.This book does wonderful job of enforcing the stereotype that girls are stupid, weak, and self-centered. She also has this strange need to make witty comments here and then, as if she realises periodically that she a bore and that she should liven it up a bit with some weak attempt at injecting humour into her ramblings. I think the main problem was that I just really disliked her as a character, so it was hard relating to her or, to be honest, caring about her. Later in the book, I really wouldn't have minded if she got shot or drowned. Another annoying thing was all the history that came up. I don't mind a little bit, if it's relevant and subtly done, but here Toby was in his letter 'oh guess what monumental historical event just took place where I live!'. The incorporating of these events was just so obvious. Finally, let me just say that I don't like historical fiction. And I don't like slow paced books. So this book was pretty much hung from the get-go. Redeeming features: it's a unique plot and the end bit is exciting. Just to wrap this all up, though, I would say that this book is a cross between a socials textbook and a soap opera. There we go. That's all the ranting you'll get for a while. I've got some paint on my wall that you might enjoy watching as it dries.